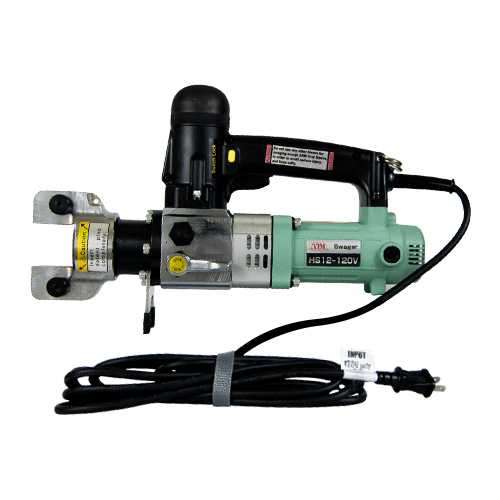 ARM 120V Hydraulic Corded Hand Swager to 1/2"
Automate your swaging process with a 120V corded hydraulic swager! 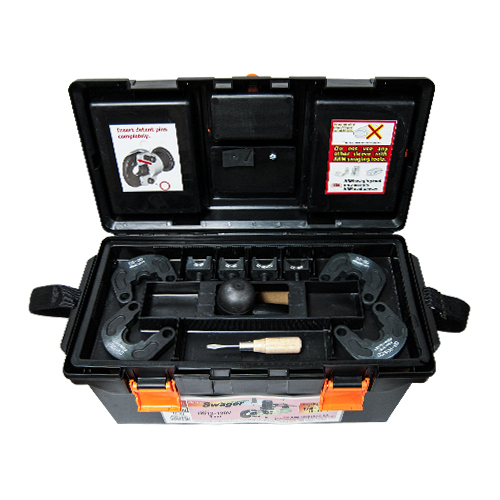 This kit is ideal for those doing large jobs with repeat swages required. 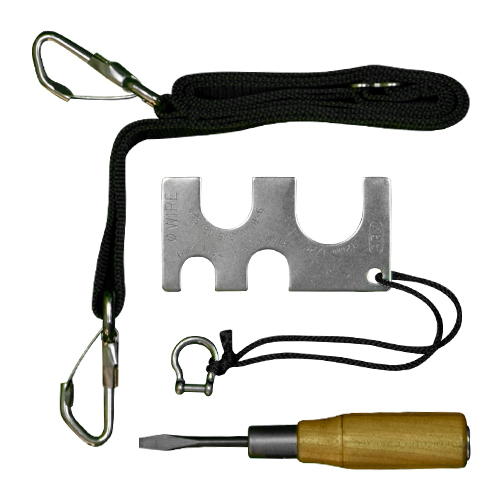 Use it on steel cable from 1/4" - 1/2" (6 mm - 12 mm) in diameter. 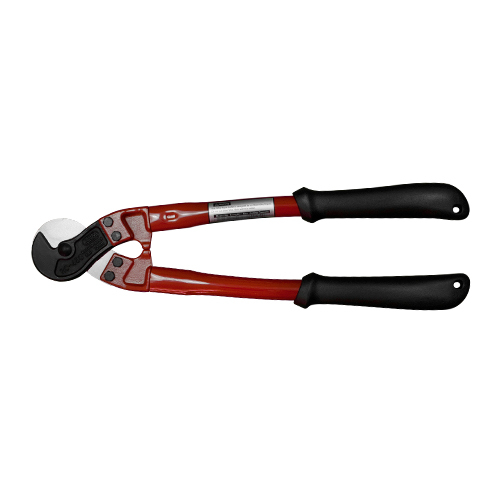 The swaging speed is approximately 4 seconds per swage, and the end result is very clean which can be a big factor on both commercial and residential projects. 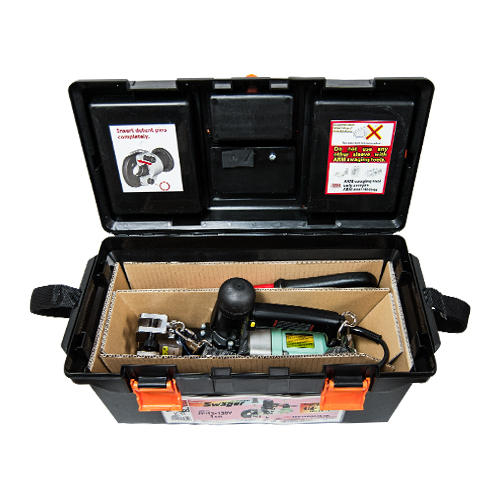 All necessary dies are included in this kit, along with two batteries and a charging base, carry strap, an RC-450 Cable Cutter (rated for up to 1/2" or 12 mm), and instructional disc and a hard plastic carrying case to move this kit from site to site. 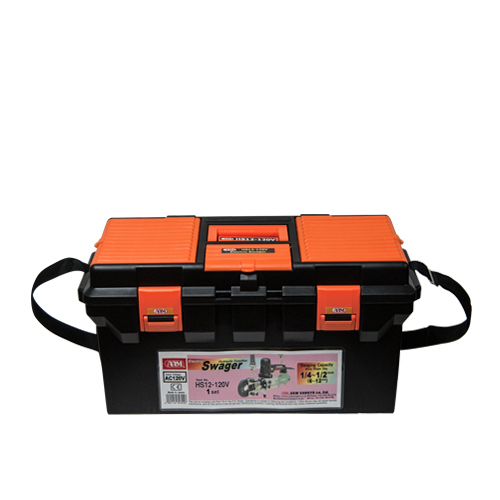 The complete kits weighs about 18 kg, or 40 lbs. The swager itself weighs approximately 16.5 lbs. 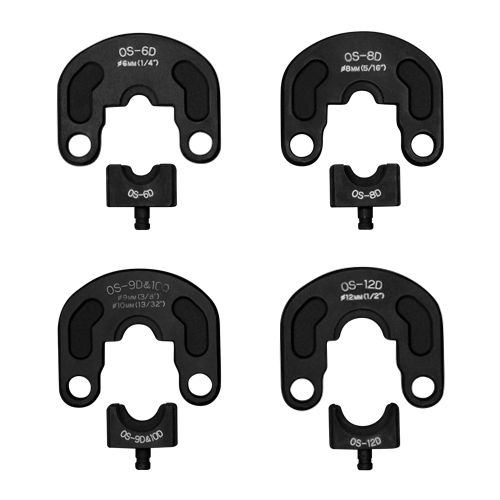 See specification sheet for additional product details.